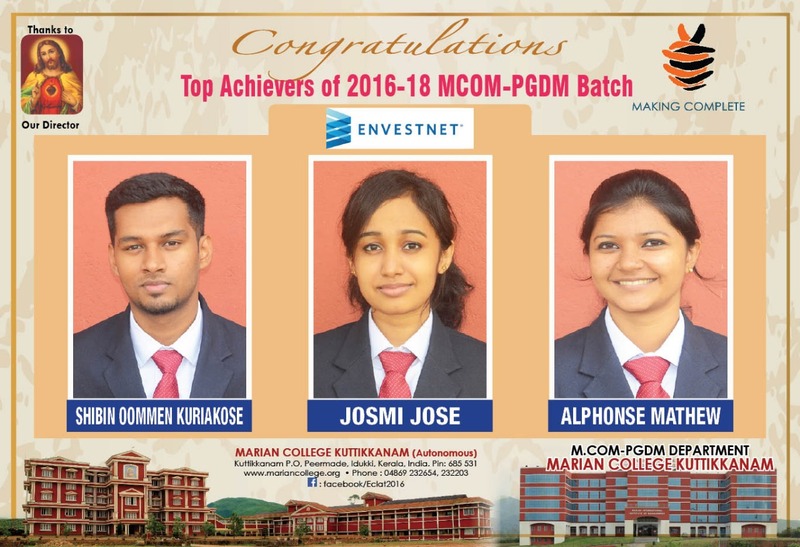 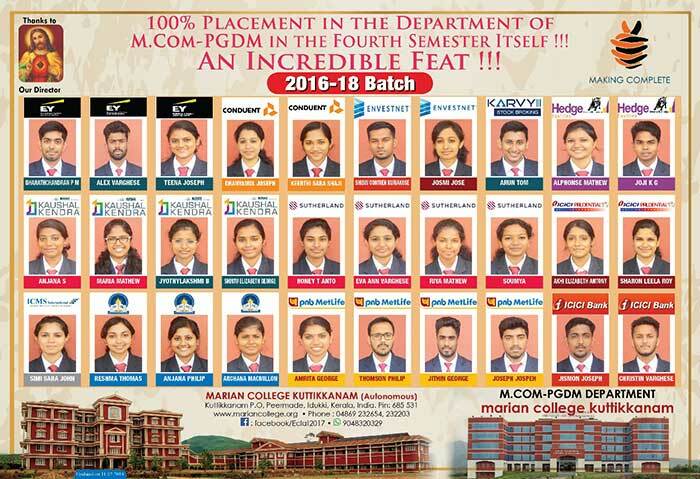 The Department of M Com - PGDM offers a regular Master of Commerce programme coupled with Post Graduate Diploma in Management. 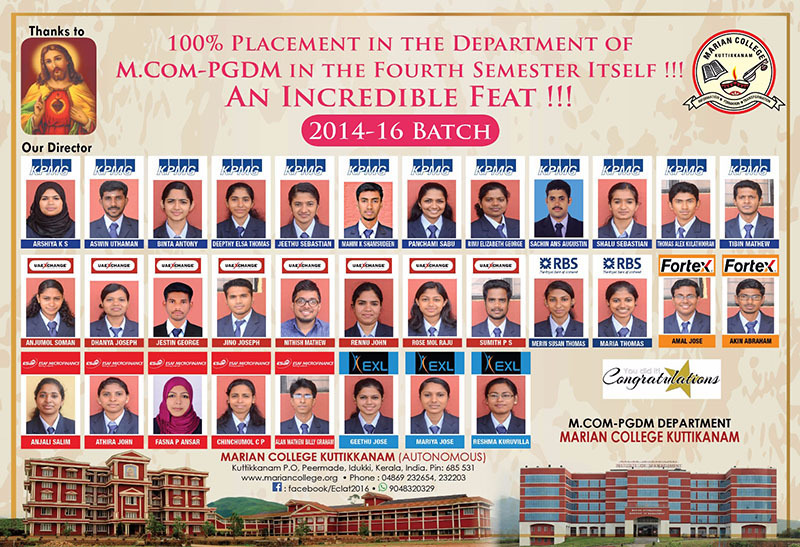 Post Graduate Diploma in Management (PGDM) is offered as a value addition to the regular M.Com programme. 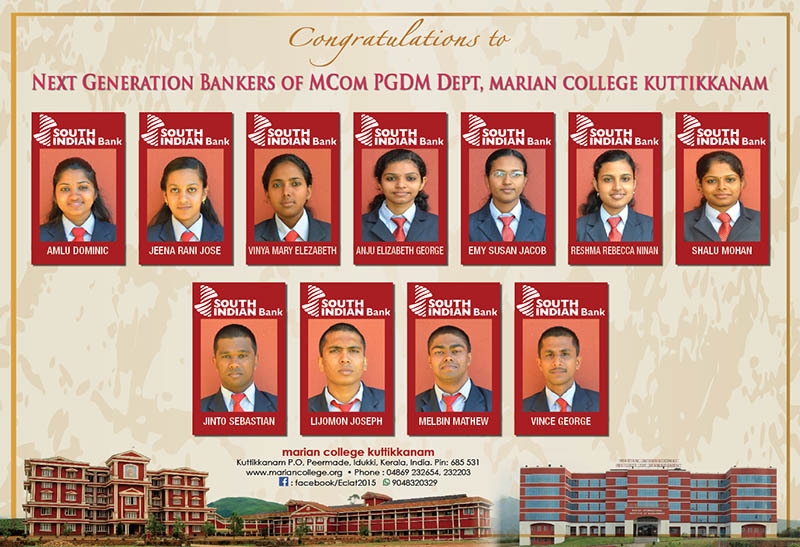 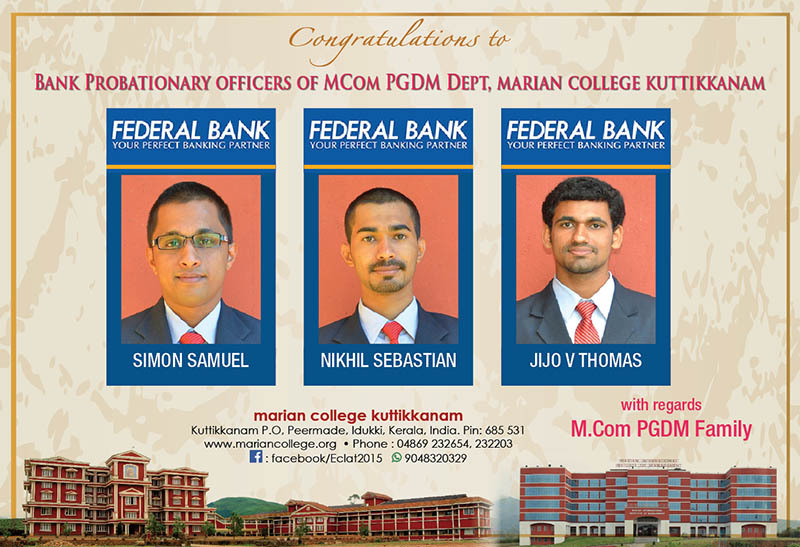 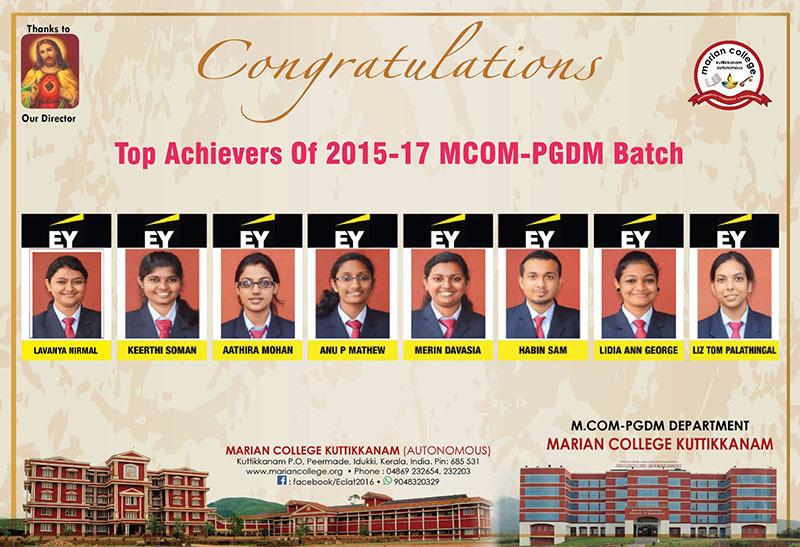 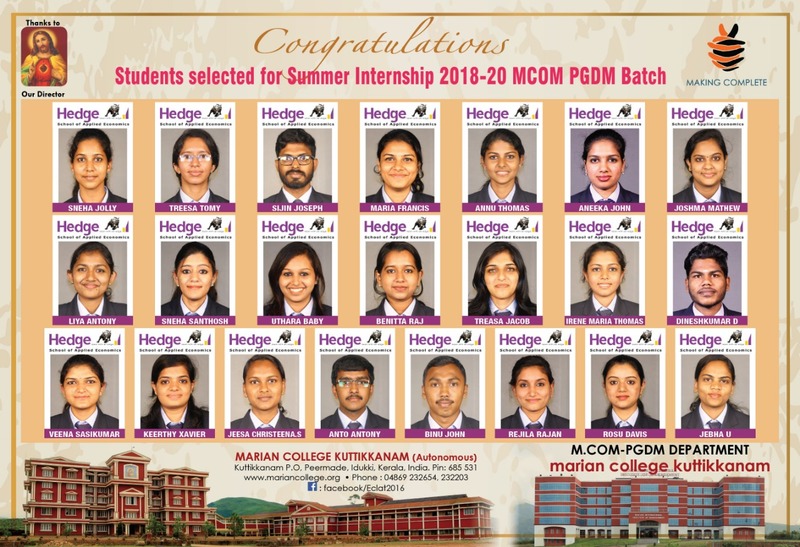 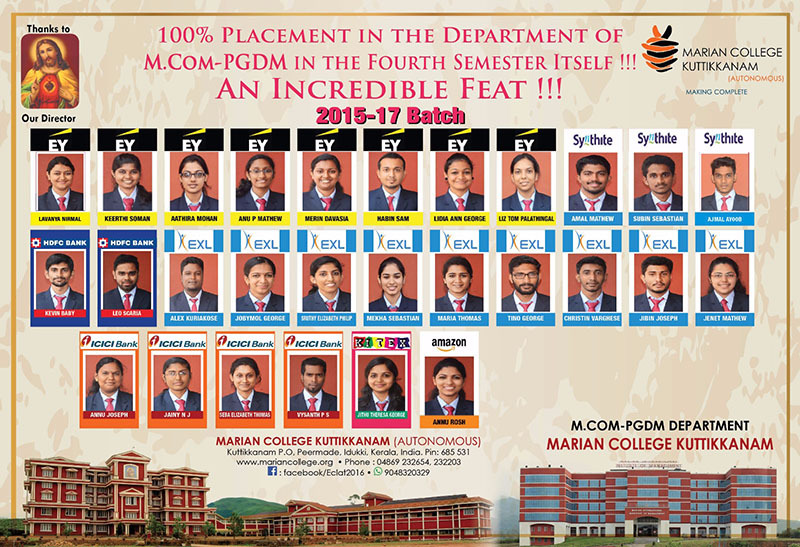 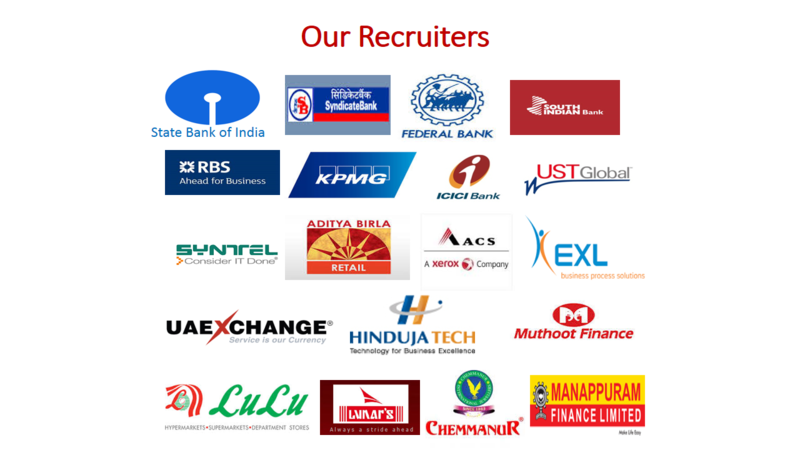 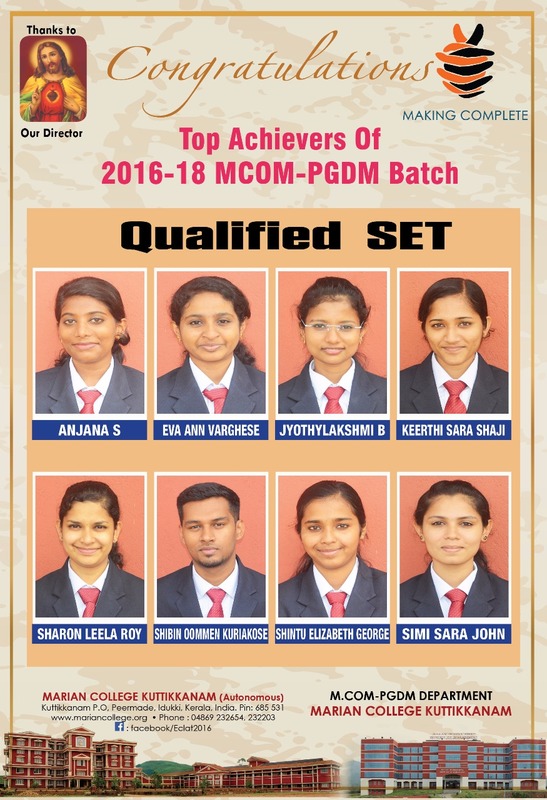 MCom-PGDM is a unique two year full time PG Programme with dual specialisation in Finance & Management. 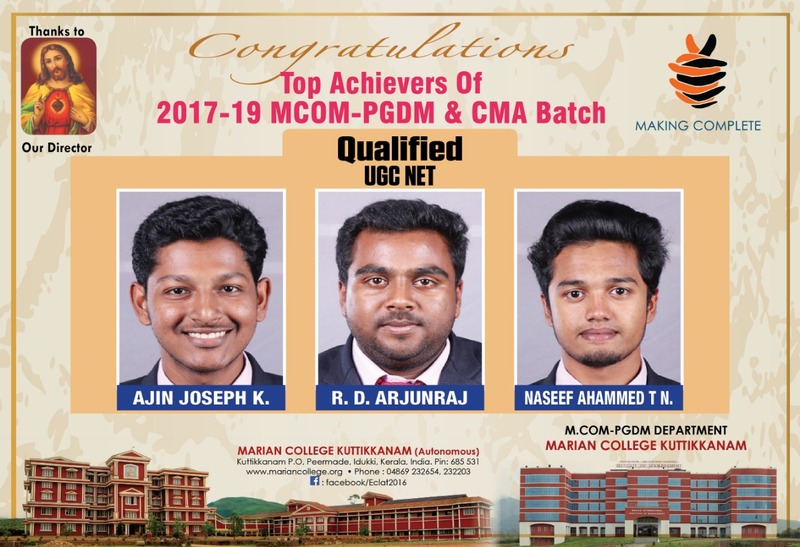 It is specially designed to equip the students with necessary managerial and entrepreneurial skills required for handling the business, particularly in managerial field by adding more inputs with case study concepts, soft skills and methodologies from a global set of standards with strong industrial interface. 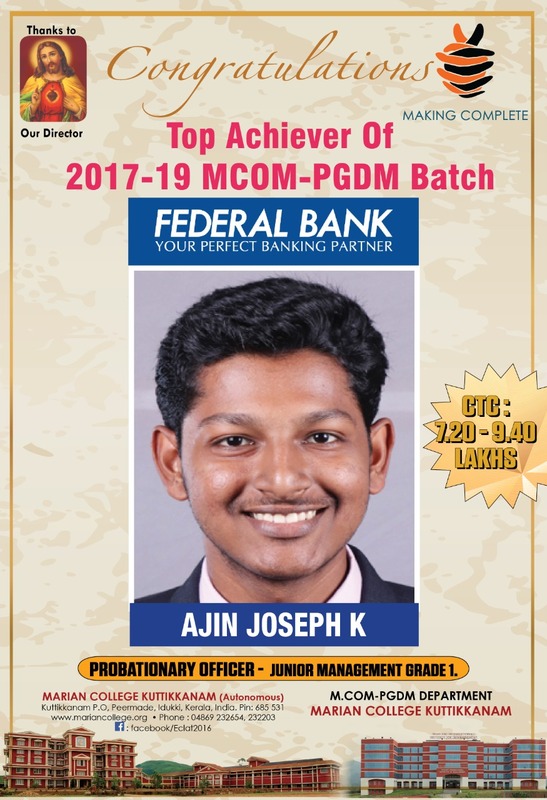 It also improves professional effectiveness among the participants which helps them to respond positively to the economic, social and organizational challenges arising from the technology advancement and impact of globalization. 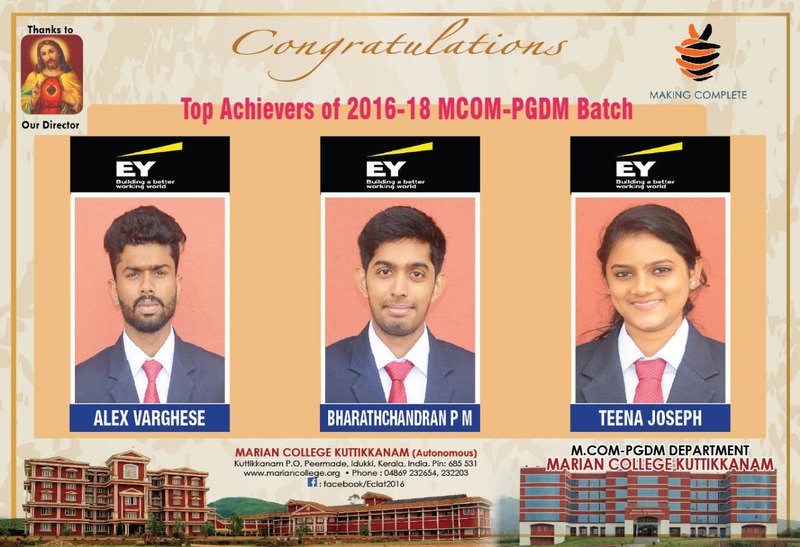 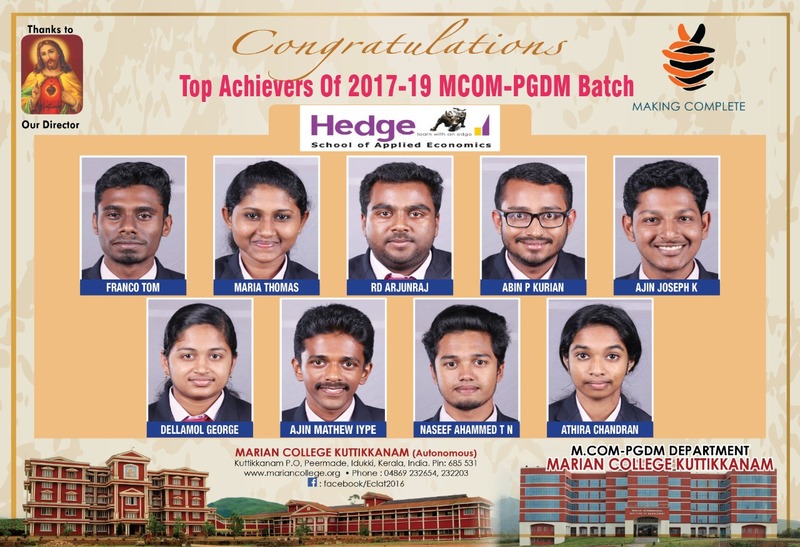 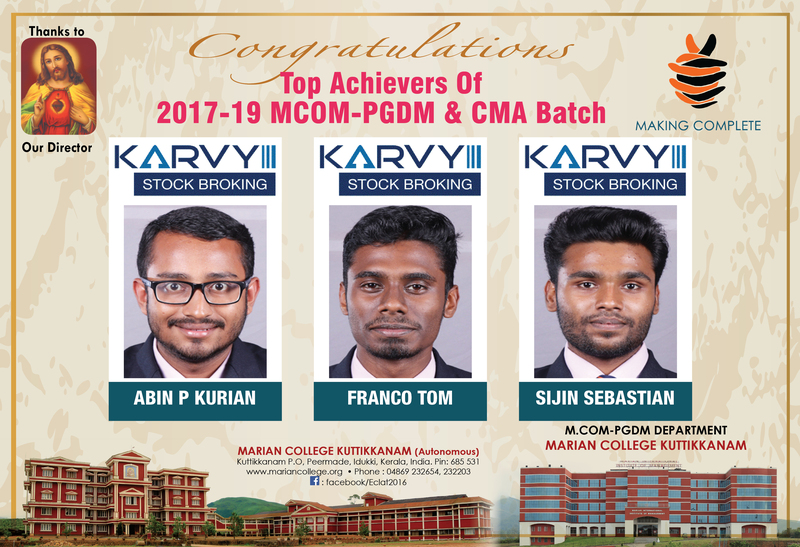 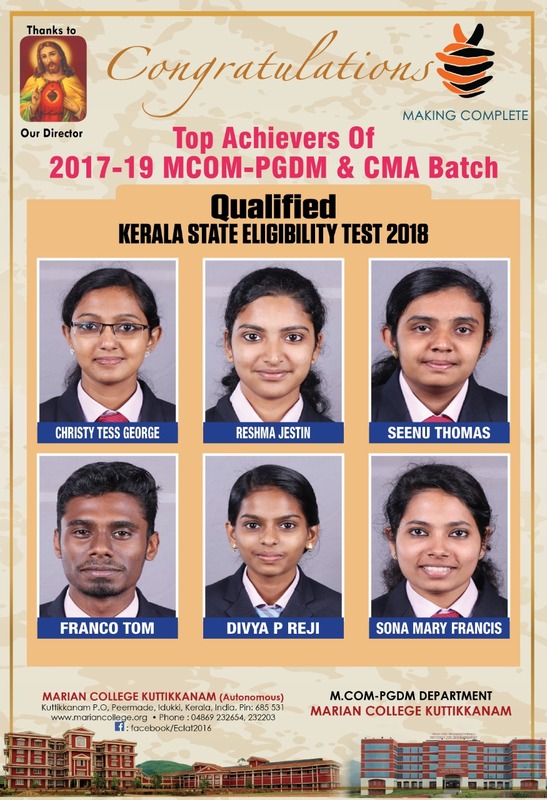 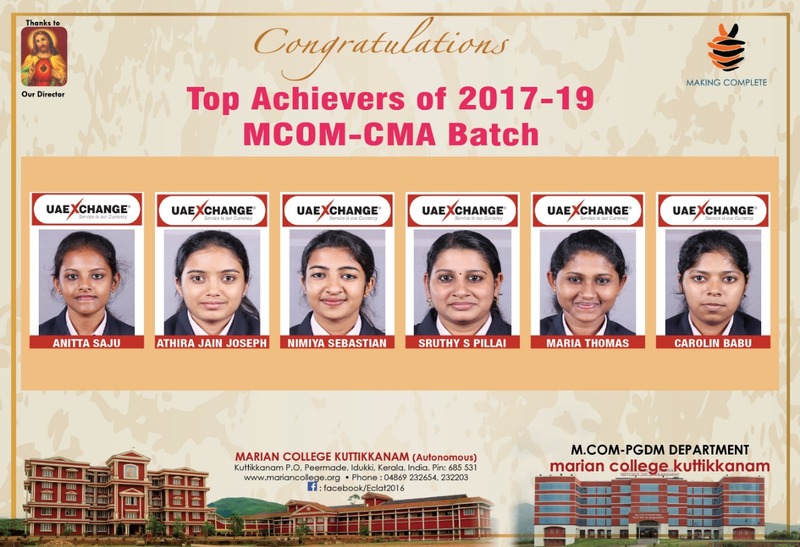 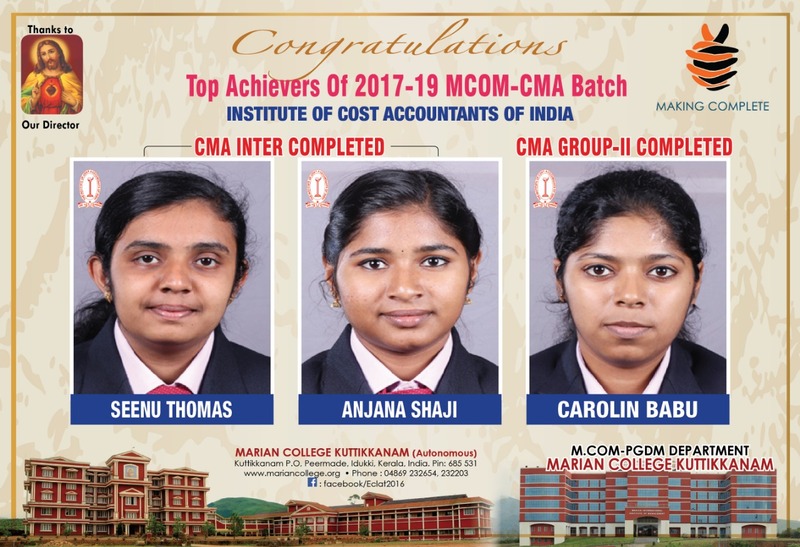 Marian College Kuttikkanam (Autonomous) is accredited by the Institute of Chartered Accountants of India (ICAI) for conducting oral coaching classes for Professional Competency Course (PCC). 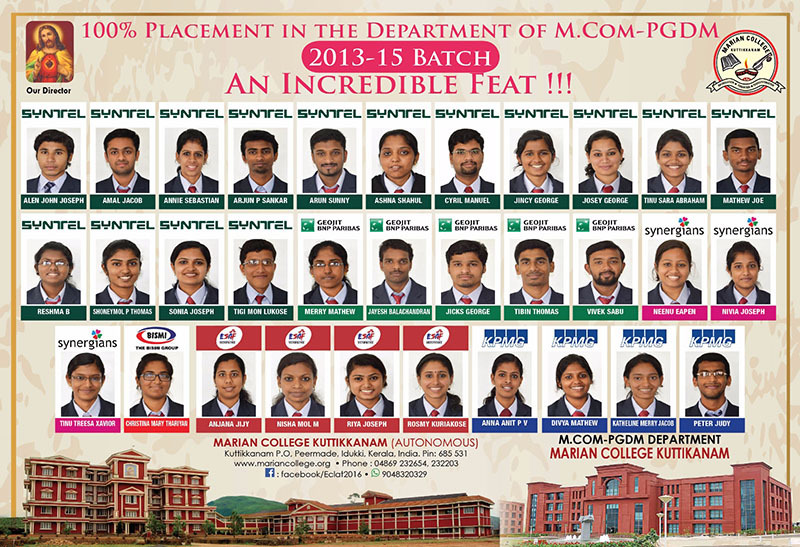 The Department of M Com - PGDM is coordinating the training programme. 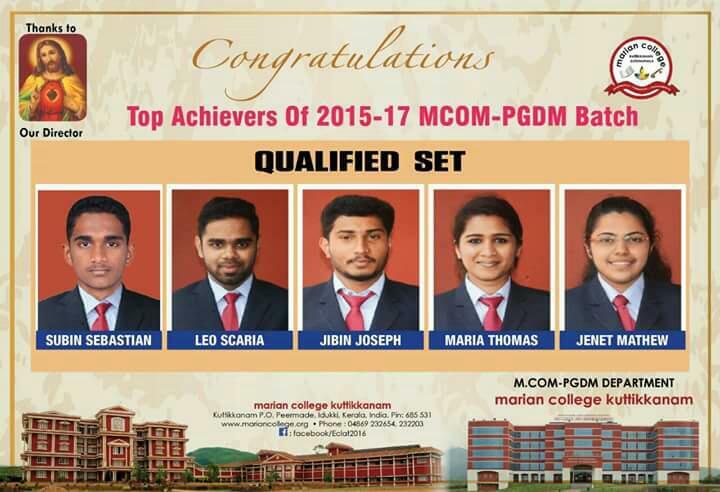 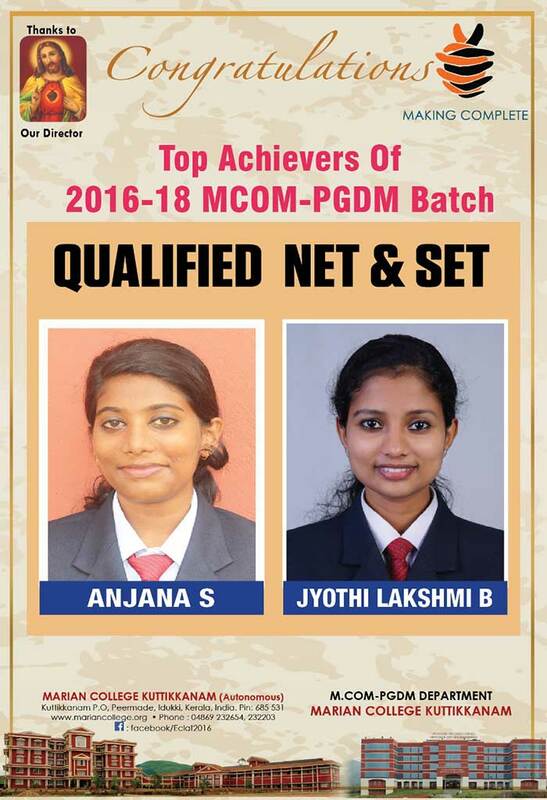 100 percent placement consecutively for seven years. 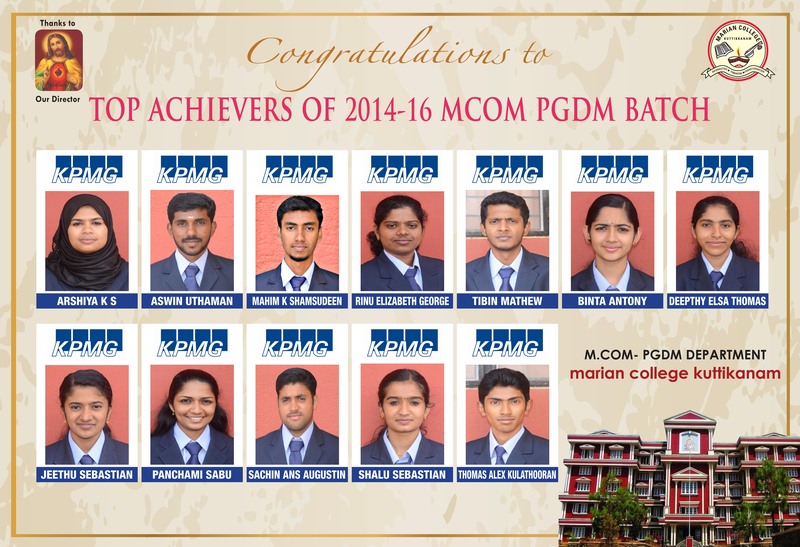 Two are Research Guides of MG University and produced 13 Ph.D and 13 in progresses.